Home > Latter-day Saint Blog Posts > How Does the Book of Mormon Use an Ancient Storytelling Technique? "And he would that Ammon should take one of his daughters to wife. But Ammon said unto him: Nay, but I will be thy servant." The differences between the basic type-scene and the Ammon story teach us much about Ammon and how we can be like him. Instead of going to a foreign land to find a wife, Ammon went to a foreign land to preach the gospel. 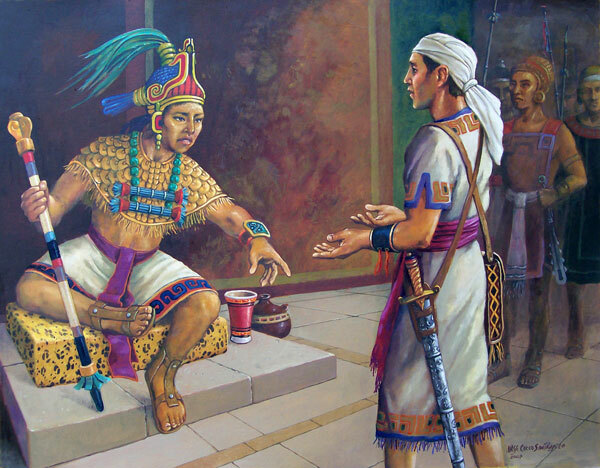 When he got there and was offered the hand of the princess, he declined, stating that he wished to work for the king of the Lamanites instead. In addition to simply drawing water for the flocks, he saved them at the peril of his own life. 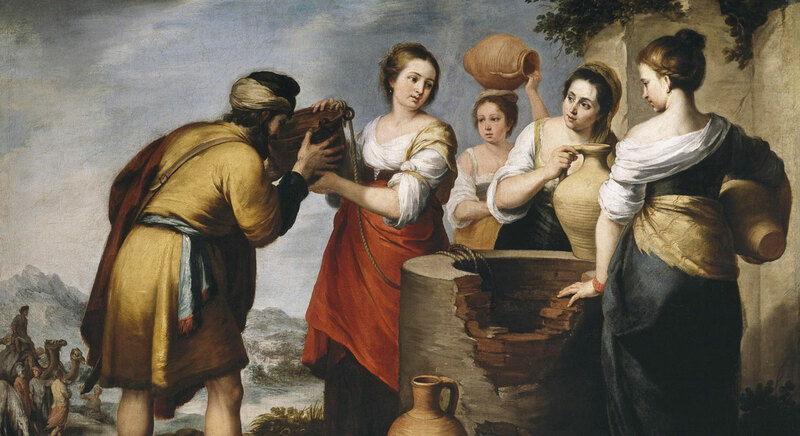 Finally, those present at the watering of the flocks returned to tell the king not about Ammon as a potential suitor, but about the power of God that was with him. The Ammon story takes the type-scene, in which the hero is simply trying to find a wife, and turns it on its head. Everything Ammon does in the story is done for selfless reasons. The last part of the type-scene, in which the hero becomes betrothed, is conspicuous by its absence. 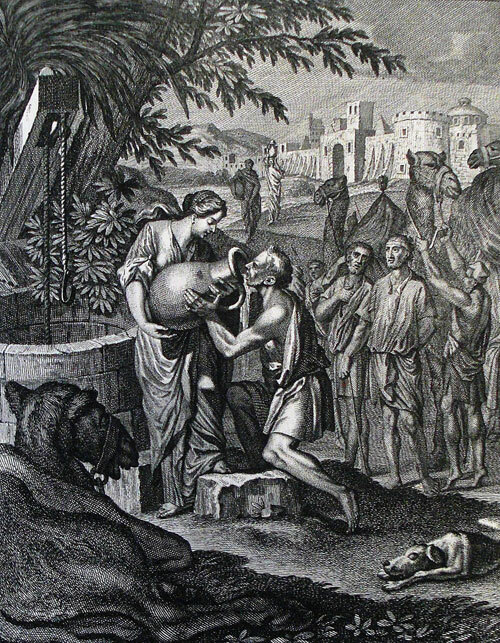 Ammon does not become betrothed at the end of the story because that was not his purpose in traveling to the land of the Lamanites. 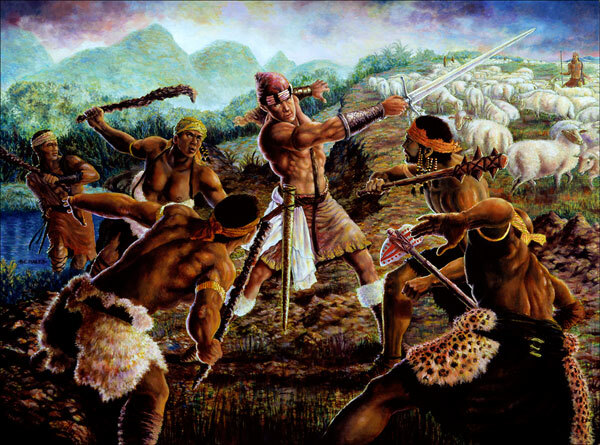 He went to the Lamanites to preach the gospel and remained focused on that goal the entire time he was in Lamanite lands. It is easy for us to become so focused on ourselves and our own needs that we rarely think about those around us. Mormon’s masterful reworking of this type-scene reminds us all of the importance of putting others first. If we will all replace selfishness with selflessness, like Ammon did, we can be a true force for good in the lives of those around us and have the power of God with us in our lives, like Ammon did. Alan Goff, “Reduction and Enlargement: Harold Bloom’s Mormons,” Review of Books on the Book of Mormon 5, no. 1 (1993): 105–108. Alan Goff, “Dan Vogel’s Family Romance and the Book of Mormon as Smith Family Allegory,” FARMS Review 17, no. 2 (2005): 363–366. Richard Dilworth Rust, Feasting on the Word: The Literary Testimony of the Book of Mormon (Salt Lake City and Provo, UT: Deseret Book and FARMS, 1997), 19–46. 1. For a concrete example of this in the Book of Mormon, see Book of Mormon Central, “Why Are there Multiple Accounts of Joseph Smith's and Alma's Visions? (Alma 36:6–7),” KnoWhy 264 (January 20, 2017). 2. For an introduction to type-scenes, see Michael Austin, “How the Book of Mormon Reads the Bible: A Theory of Types,” Journal of Book of Mormon Studies 26, (2017): 51–53. For one perspective on how type-scenes are a subtle witness for the authenticity of the Book of Mormon, see Alan Goff, “Uncritical Theory and Thin Description: The Resistance to History,” Review of Books on the Book of Mormon 7, no. 1 (1995): 187–190. 3. For a few examples other examples of type-scenes in the Book of Mormon, see Richard Dilworth Rust, “Recurrence in Book of Mormon Narratives,” Journal of Book of Mormon Studies 3, no. 1 (1994): 42–43. 4. Robert Alter, The Art of Biblical Narrative, 2nd ed. (New York, NY: Basic Books, 2011), 62. 5. Alter, The Art of Biblical Narrative, 62. 6. Alter, The Art of Biblical Narrative, 63. 7. Alter, The Art of Biblical Narrative, 64. 8. Alter, The Art of Biblical Narrative, 64. 9. Alter, The Art of Biblical Narrative, 64. 10. For one example of this, see Alter, The Art of Biblical Narrative, 70. 11. Alan Goff, “Reduction and Enlargement: Harold Bloom’s Mormons,” Review of Books on the Book of Mormon 5, no. 1 (1993): 105. 12. Goff, “Reduction and Enlargement,” 105. 13. Goff, “Reduction and Enlargement,” 105. 14. Goff, “Reduction and Enlargement,” 105. 15. For more context on this story, see Brant A. Gardner, Second Witness: Analytical and Contextual Commentary on the Book of Mormon, 6 vols. (Salt Lake City, UT: Greg Kofford Books, 2007), 4:275–276. Book of Mormon Central : How Does the Book of Mormon Use an Ancient Storytelling Technique?